If you know exactly how many henchmen James Bond has killed (answers on the back of a postcard please) and can recite The Spy Who Loved Me á la Alan Partridge, then you might want to consider Sölden, Austria, as your next holiday destination, because 007 Elements, an immersive exhibition which looks back at the history of Bond and how the films are made, is a must-visit for any Bond fanatic. As you approach the impressive structure, 3050 metres above sea level, you actually get the feeling you’re in a Bond film, and, well, that’s because you are – a large section of SPECTRE was filmed on the Gaislachkogl Mountain. At the top you’re greeted by the stunning Ice Q restaurant (perfect spot for lunch or refreshments) and 007 Elements, a stark concrete structure embedded into the side of the mountain. 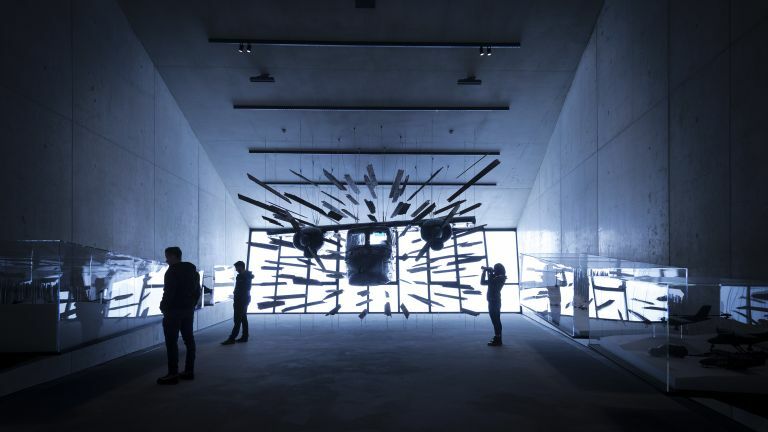 The exhibition reveals itself through a series of tunnel and rooms, each looking at a signature element of the James Bond film franchise as well as offering spectacular views of the Tyrolean valleys. The rooms do a great job of immersing you in the 007 universe, whether that’s checking out gadgets old and new in Q’s lab, or becoming a location scout in the ‘Briefing Room’. It really is a must visit for Bond fans, but even non-Bond fans will find it interesting. Elements tickets can be booked at 007elements.soelden.com/ and cost just €22 (around £20). Of course, if you're entering Jame Bond's universe you have to look the part, and what better way to do that than wear the same clothes as 007? When in Sölden Daniel Craig wore the rugged Danner Mountain Light II hiking boots. These feature a one-piece leather design and a Gore-Tex lining to keep out debris and water, while allowing sweat and moisture to get out. We love the retro design, and used and abused a pair of Danners last winter, so can vouch for their durability. Tom Ford was Bond's tailor of choice in SPECTRE, so it's no surprise Bond slipped into his ready-to-wear collection for his trip to Austria. This bomber jacket from Tom Ford is expertly crafted in Italy and boasts a contrast design with front down filled quilted panelling alongside luxurious wool knitted sleeves and reverse. The jacket is paired with Tom Ford Stirrup Trousers, which are no longer available. Underneath the jacket Bond wears a fine gauge mock turtle neck jumper from N.Peal. This jumper is crafted from a cashmere and silk worsted yarn meaning it's lighter weight and perfect for the move between seasons, or as a layering piece for the outdoors. To keep his shooting finger warm, 007 wore Mulberry's elegant and understated 'day gloves'. Cut from soft black leather with subtle stitch detailing and a cashmere lined interior. Of course, Bond never goes anywhere without this Omega Seamaster. Daniel Craig wears a limited edition Omega Seamaster 300 in the film, driven by the Omega Master Co-Axial calibre 8400. The watch features a bi-directional, rotating diving bezel, made from black, polished ceramic, a "lollipop" second hand, and the strap is a dashing, five-stripe, black and grey NATO affair, with a 007 gun logo engraved on the strap holder. It's limited to just 7,007 pieces, and was priced at £4785. If you didn't manage to get one of those, you can pick up the non-limited edition Omega Seamaster 300. There are a number of great places to stay in Sölden, but if you're after the ultimate Bond experience you should stay in the Bergland Design Hotel. This stunning hotel was used by the cast and crew of SPECTRE. The Bergland offers five-star comfort and a mix of minimalism and traditional alpine style. Many extras are included with your booking as standard, and the hotel has a direct connection to the ski resort in winter and hiking area in summer. After all that action, you can take a little time out and relax in the 1,700m² Sky Spa, with panoramic views of the surrounding mountains. Austria isn't an especially expensive country to fly to, and it takes a relatively short two hours. Check out the cheapest flights to Austria at Expedia.